Scott Stabile's parents were murdered when he was fourteen. Nine years later, his brother died of a heroin overdose. Soon after that, Stabile joined a cult that would dominate his life. Through all these challenges, Stabile grew stronger and more committed to living his life from love. He forgave the man who murdered his parents, found compassion for his late drug-addicted brother, and finally walked away from the cult leader who had controlled his life for thirteen years. He writes about these experiences and many other personal milestones in ways that are universally applicable, uplifting, and even laugh-out-loud funny. 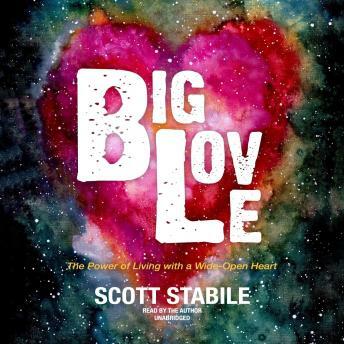 Whether trying-as we all must-to silence shame, show up for friends, or overcome dreaded what-ifs, Stabile shares hard-won insights that will return listeners to love, both of themselves and of others.